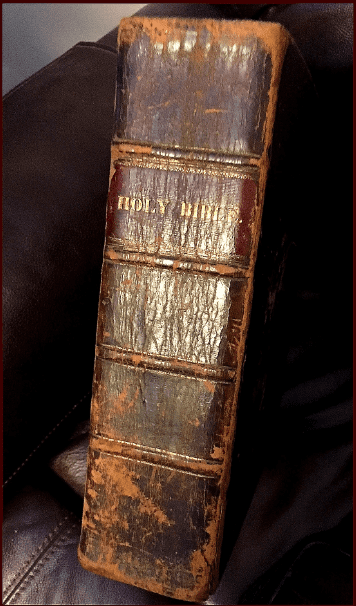 I was looking in one of our old family Bibles over the weekend. According to the Bible, Edward and Sarah Wright, my 3rd great-grandparents, were married on St. Patrick’s Day, 17 March 1827, in Mahopac, Putnam County, New York – 192 years ago. The Bible also recorded the marriage of Edward’s sister Marium Wright to David P. Barnes. 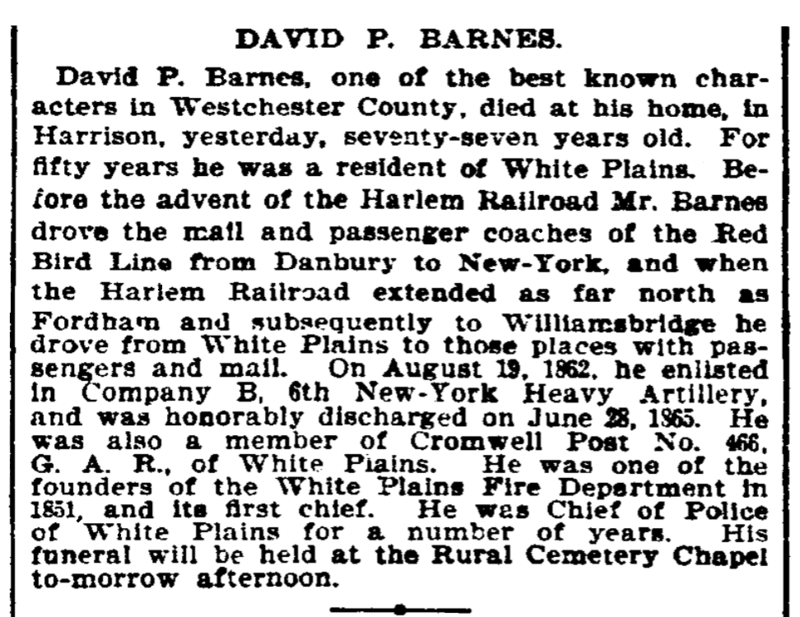 Searching for more information in GenealogyBank’s Historical Newspaper Archives, I found David’s obituary. David served in the Civil War “in Company B, 6th New York Heavy Artillery.” He joined with those that served after the war in the “Cromwell Post No. 466, G. A. R. [Grand Army of the Republic], of White Plains,” New York. He was the first fire chief of White Plains, New York. He was chief of police of White Plains, New York. Was there anything he didn’t do? Dig into GenealogyBank’s Historical Newspaper Archives and search for the history of your family.